USS TANG was the first ship in the Navy's TANG - class of Diesel submarines and the second ship in the Navy to bear the name. Decommissioned on February 8, 1980, and stricken from the Navy list on August 6, 1987, the TANG was sold to Turkey on August 17, 1987. The Turkish Navy recommissioned the TANG as PIRI REIS. Builder: Portsmouth Naval Shipyard, Portsmouth, NH. This section contains the names of sailors who served aboard USS TANG. It is no official listing but contains the names of sailors who submitted their information. 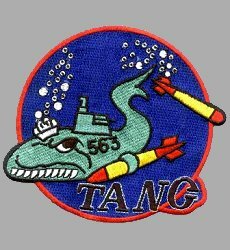 Click here to see which USS TANG memorabilia are currently for sale on ebay. USS TANG was laid down by the Portsmouth ( N.H. ) Naval Shipyard on 18 April 1949; launched on 19 June 1951; sponsored by Mrs. Richard H. O'Kane; and commissioned on 25 October 1961, Comdr. E. P. Huey in command. 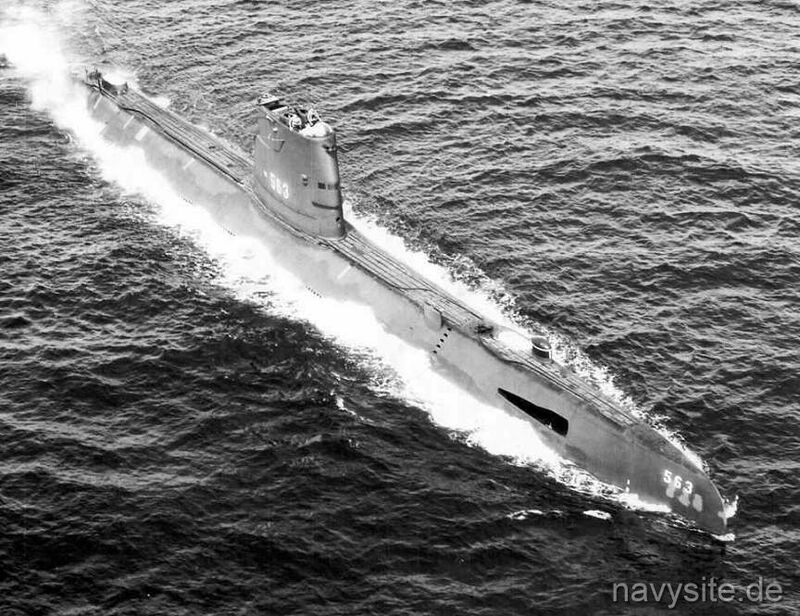 Following trials and training along the east coast, the fast attack submarine was assigned to Submarine Squadron (SubRon) 1, Submarine Force, Pacific Fleet. 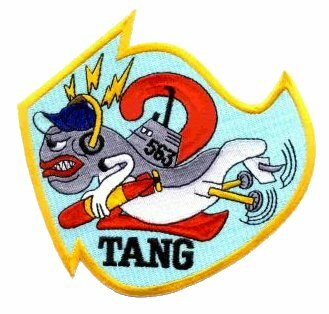 From her base at Pearl Harbor, TANG operated in the Hawaiian Islands, providing services to surface and air antisubmarine warfare (ASW) forces. She also conducted type training. In October 1953, TANG commenced her first overhaul which she completed in July of 1954. Upon emerging from the yard, the submarine began training for her first western Pacific deployment. That cruise began in September and ended at Pearl Harbor in March 1956. She then operated in the Hawaiian area until June, when she headed back to sea f or a training cruise in Alaskan waters. TANG returned to Pearl Harbor in August and, soon thereafter, began her second overhaul. On 20 July 1957, TANG put to sea on her second deployment to the western Pacific. That deployment set the pattern for seven more between then and 1972. The submarine came under the command of the Commander, 7th Fleet, and provided training services to units of the Japanese Maritime Self Defense Force, the Nationalist Chinese Navy, SEATO naval forces, and the United States Navy. When not cruising Far Eastern waters, she operated among the Hawaiian Islands and underwent overhauls at the Pearl Harbor Naval Shipyard. On five occasions during that decade-and-one-half, she cruised to the northwestern coast of North America. In March of 1959, during a cold weather training cruise, TANG tested a newly developed snorkel de-icer system. In addition, the submarine provided services to the Naval Torpedo Testing Station, at Keyport, Wash., and to Canadian naval forces at Esquimalt, British Columbia. She returned to the Pacific Northwest in late February 1961, following her fourth overhaul at Pearl Harbor, for shakedown training and participation in a 1st Fleet Exercise, SLAMEX. Two years later, she made her third voyage to the northwestern coast of the United States; this time to join in 1st Fleet ASW exercises. In May and June of 1964, TANG made a postoverhaul shakedown cruise to the west coast. Four years and two deployments later, TANG made her fifth and last voyage to the west coast while still homeported at Pearl Harbor. Two months later, she resumed local operations in the Hawaiian Islands before embarking upon her eighth deployment to the western Pacific in mid-January 1969. 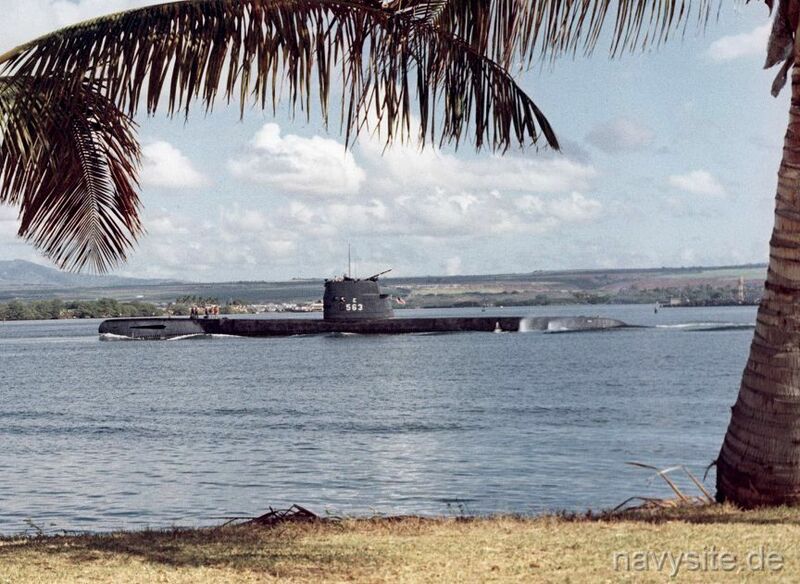 Her ninth deployment came after a period of repairs and intense training around Hawaii and lasted from August 1970 until February 1972. Upon her return to Pearl Harbor, she resumed local operations until August, when she again entered the Pearl Harbor Naval Shipyard for extensive repairs and refurbishments. In May 1972, she left the yard and began preparation for changing homeport to San Diego, Calif. Following 10 days at sea and two at San Francisco, TANG arrived at the Naval Submarine Facility at San Diego. There she joined Submarine Division 32 of SubRon 3. The ensuing year brought ASW operations with destroyers and air units followed by a two-month restricted availability at the Mare Island Naval Shipyard and a return to normal operations. On 2 April 1973, the fast attack submarine put to sea for the 10th western Pacific deployment of her career. During it, she again participated in surface and air ASW exercises with units of the 7th Fleet and of various Allied navies. After visiting Yokosuka, Sasebo, Chinhae, Kaohsinng, and Pusan, TANG returned to San Diego on 12 October 1973. She resumed local operations after a 30-day standdown period, then made preparations for a deployment to South American waters for Exercise UNITAS XV. On 2 October 1974, she headed south to conduct training exercise s with surface units and submarines of the United States, Chilean, and Peruvian navies. At the completion of UNITAS XV, TANG visited Acapulco, Mexico, before returning to San Diego on 16 December for Christmas standdown. Throughout 1975, she continued to conduct normal operations out of San Diego. On 11 January 1976, TANG commenced overhaul at Mare Island Naval Shipyard where she remained until completion on 20 January 1977. 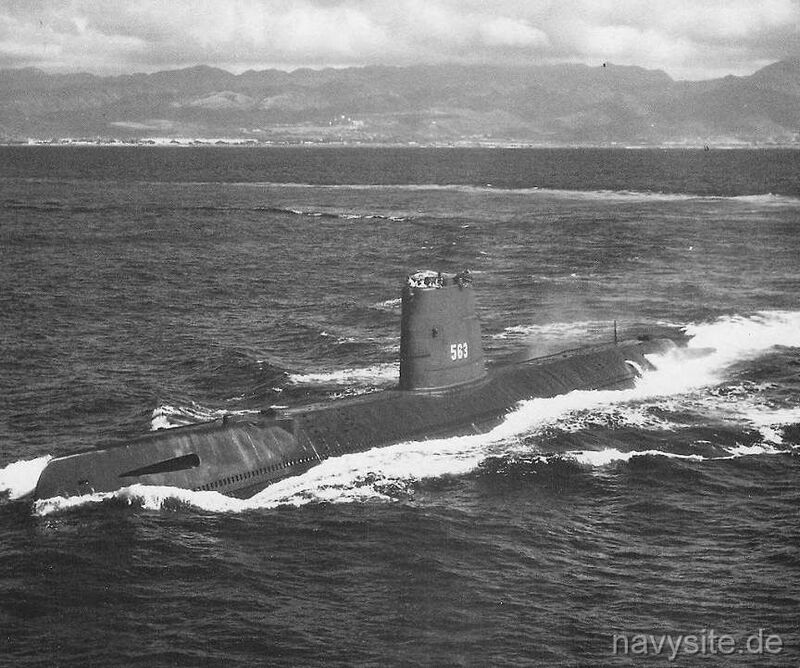 With the exception of a brief MIDPAC deployment in March, TANG operated out of her home port of San Diego for the remainder of 1977 and the first half of 1978. On 1 August, TANG's homeport was changed to Groton, Connecticut, in anticipation of her forthcoming inter-fleet transfer. TANG departed San Diego on 23 August and, following a transit of the Panama Canal, arrived at Groton on 30 September. For the remainder of 1978, she engaged in her new primary mission - training Iranian Navy personnel - as well as providing service to units of the Atlantic Fleet. TANG continued to serve in this role until decommissioned on 8 Febuary 1980. TANG earned four battle stars for service in Vietnamese waters.